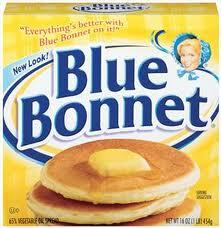 Website: Click HERE to be redirected to the Blue Bonnet website. Email: Click HERE to contact Blue Bonnet via email. Facebook: Click HERE to be redirected to the Conagra Facebook page. Website: Click HERE to be redirected to the Heluva Good website. Email: Click HERE to contact Heluva Good via email. Facebook: Click HERE to be redirected to the Heluva Good Facebook page. Click HERE to get a free sample of Tide Pods! Allow 4-6 weeks for delivery! There's a great printable coupon available for $0.50/1 Starkist Tuna Pouch Product! Quantites are limited! Click HERE to print yours! Website: Click HERE to be redirected to the Keebler Town House website. 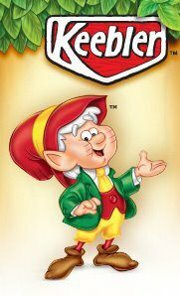 Email: Click HERE to contact Keebler Town House via email. Facebook: Click HERE to be redirected to the Keebler Town House Facebook page. Nescafe Taster's Choice Deal JUST GOT BETTER ~ Save an ADDITIONAL $0.55! When I wrote the original post I didn't realize that there was a $0.65/1 Nescafe Taster's Choice Coupon! The Nescafe deal just got a little sweeter! Click HERE to view the original post! $0.65/1 Nescafe Taster's Choice Product Doubles to $1.30! Final Cost AFTER CATALINA as low as $10.38 or $5.19 each! The $1/1 Bumblee Bee Tuna coupon may not be around long! Click HERE to print! They're Burning a Hole in My Pocket! 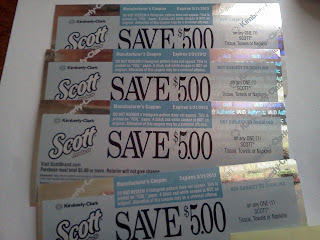 I was super excited when I opened up the envelope from Kimberly Clark and found FOUR coupons for $5/1 Scott Tissue, Towels or Napkins! 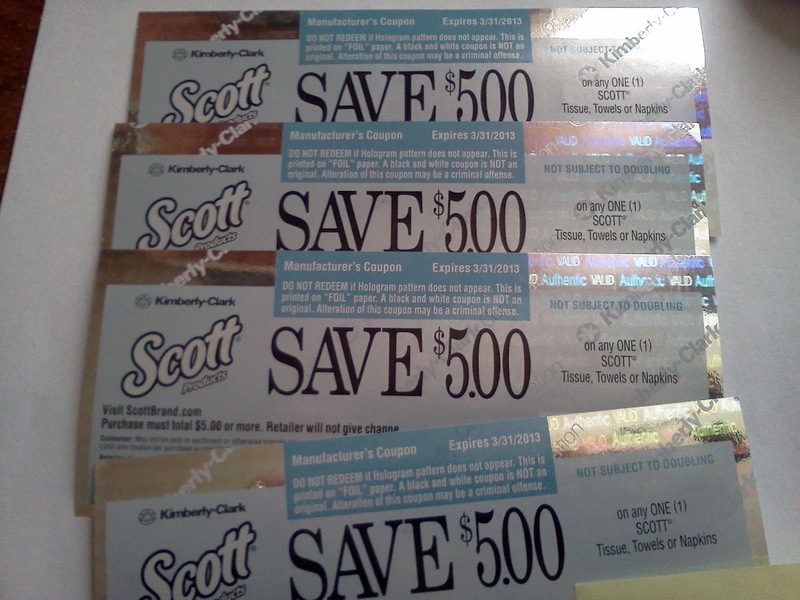 When I contacted Kimberly Clark I was honest... told the lady on the other end of the line how I felt about their Scott Toilet Tissue and i was rewarded with $20 worth the coupons that don't expire until MARCH 31, 2013! I have OVER A YEAR TO USE THESE COUPONS! Final Cost 3 ~ 20 Packs for $16.97 or $5.66 each or $0.09 PER ROLL! Starting Monday the Foodland will have 1/2 gallons of Swiss Tea on sale for $1.19 ~ At the Foodland in BOLIVAR we should be able to snag them for $0.19 with the coupon on the back of the flyer! Final Cost AFTER CATALINA ~ 2/$11.48 or $5.74 each! Usually, I see Hot Pockets on sale for around $2 a box but... THIS week the Giant has them advertised 6/$10 making them $1.67 each before coupons.... when paired with the printable coupon for $1.40/8 you can snag 8 boxes of hot pockets for $1.49 per box! I consider this a STOCK UP PRICE! Website: Click HERE to be redirected to the Smuckers website. Email: Click HERE to contact Smuckers via email. Facebook: Click HERE to be redirected to the Smuckers Facebook page. 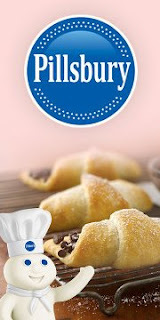 Website: Click HERE to be redirected to the Pillsbury website. Email: Click HERE to contact Pillsbury via email. Facebook: Click HERE to be redirected to the Pillsbury Facebook page. Website: Click HERE to be redirected to the Hatfield website. Email: Click HERE to contact Hatfield via email. Facebook: Click HERE to be redirected to the Hatfield Facebook page. Website: Click HERE to be redirected to the Lindsay Olives website. Email: Click HERE to contact Lindsay Olives via email. Facebook: Click HERE to be redirected to the Lindsay Olives Facebook page. I did a quick internet search to see if I could find the keyword on another blog... I found NOTHING. Next time I'm in Tops I'll try to remember to look... The keyword is WORTH FINDING ~ a $250 Tops Gift Card is part of the GRAND PRIZE! A quick access link to the Miller Lite Sabres Power Play Sweepstakes can be found under Daily Entry Sweeps and Mail In Sweeps. Click HERE to play the Tops 50th Anniversary Balloon Pop Gift Card Giveaway for a chance to win a $50 Tops Gift Card! The quick access link can be found on the right side of this blog listed under Instant Win Games. Ends March 25, 2012. Click HERE to play Reese's The Perfect Pick Instant Win Game or text REESES to shortcode 44144 (text messaging rates apply). The quick access link to the Reese's Instant Win Game can be found under Instant Win Games on the right side of this blog! Website: Click HERE to be redirected to the Frito Lay website. Email: Click HERE to contact Frito Lay via email. Facebook: Click HERE to be redirected to the Frito Lay Facebook page. It seems like every year St. Patrick's Day creeps up on me and I find that Tearyn is having to remind me that it's coming.... it goes soemthing like this... 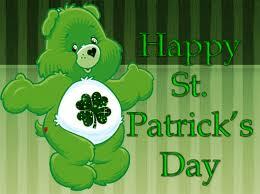 "MOM!, St. Patrick's Day is TOMORROW and I have NOTHING green to wear!" We make a mad dash for the closest store to find they've been sold out of all things green... we then find ourselves searching every nook of every store just to find SOME... GREEN... but, not this year! This year, I'm ahead of the game... at least I'd like to think I am! I'm not sure what Tearyn will choose... but, this year ~ it won't be a last minute dash! Website: Click HERE to be redirected to the Bear Naked Granola website. Email: Click HERE to contact Bear Naked Granola via email. Facebook: Click HERE to be redirected to the Bear Naked Granola Facebook page. Click HERE to get a free sample of Quaker Oatmeal Squares. Click HERE to sign up for a free sample of Purex! Allow 6-8 weeks for delivery! Earn rewards such as a spy pen's, gas cash and more from Kellogg's by collecting the points from specially marked packages! Click HERE to find out how! Click HERE to send your Facebook Friends a personalized Birthday Wish... after you LIKE Smucker's and register you will be entered to win a Smucker's Gift Basket! This promotion ends 04.30.2012! The link to this promotion can be found under One Time Entry Sweeps on the right hand side of this blog! Click HERE to visit Wilson Farms on Facebook ~ while there enter to win a gift cards! When I was on their page the rules weren't coming up... I'm unsure how many times you can enter or when this sweep ends... If you can happen upon that information please let us know! Click HERE to visit Langers on Facebook... they say if we like them 70,000 times before March 1, 2012 (they've already reached 78,000) they'll reward us with a free juice coupon! Who doesn't like free? We've got this one in the bag! Click HERE to enter the eBay My Vehicles Sweepstakes for a chance to win a 2012 Dodge Challenger... You can enter this sweep 1 to a maximum of 5 times! You must upload a picture of your vehicle and share your submission via Facebook, Twitter or email... What a great prize! LOVE IT! This link can be found under the one time entry sweeps! Click HERE to be redirected to Hormel on Facebook... there you will find the details about how to enter their Snack-ipe Contest on Twitter! This contest runs TODAY ONLY from 9 AM CT to 5 PM CT! Go get yourself entered for a chance to win a $250 Gift Card! Click HERE to enter the KC Masterpiece Keith Urban Meet & Greet ﻿Contest! You can enter to win ONE TIME PER CONCERT! I've posted this sweep under the one time entry sweep ~ but keep in mind that you CAN enter one time PER CONCERT EVENT. I was in the Dollar General a few days ago and spotted the "coming soon" Tide Pods boxes on the shelf... I LOVE MY TIDE but since I've been a SERIOUS couponer I don't buy Tide anymore ~ the cost of a bottle isn't within my laundry soap pricing guidelines... Free however, defanitely IS within the guideline and that's why I jumped on the FREE SAMPLE as soon as I spied it! Website: Click HERE to be redirected to the Kraft Planters Peanut Butter website. Email: Click HERE to contact Kraft Planters Peanut Butter via email. 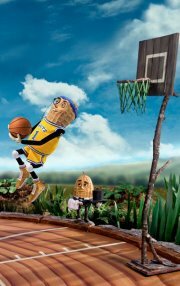 Facebook: Click HERE to be redirected to the Kraft Planter's Peanut Butter Mr. Peanut Facebook Page. Website: Click HERE to be redirected to the Nestle ~ Hot Pockets website. Email: Click HERE to contact Nestle ~ Hot Pockets via email. Facebook: Click HERE to be redirected to the Nestle ~ Hot Pockets Facebook Page. 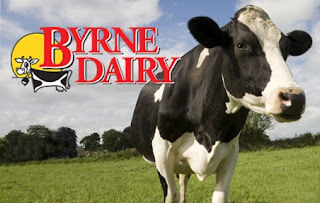 Website: Click HERE to be redirected to the Byrne Dairy website. Email: Click HERE to contact Byrne Diary via email. Website: Click HERE to be redirected to the Sorrento Cheese website. Email: Click HERE to contact Sorrento Cheese via email. 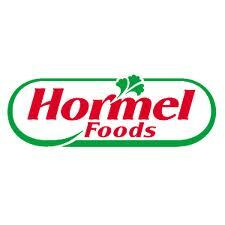 Website: Click HERE to be redirected to the Hormel website. Email: Click HERE to contact Hormel via email. Facebook: Click HERE to be redirected to the Hormel Facebook Page. Website: Click HERE to be redirected to the KC Masterpiece website.  Email: Click HERE to contact Morton Salt via email. Facebook: Click HERE to be redirected to the Morton Salt Facebook Page. Website: Click HERE to be redirected to the Morton Salt website. Website: Click HERE to be redirected to the Smithfield website. Email: Click HERE to contact Smithfield via email. Facebook: Click HERE to be redirected to the Smithfield Facebook Page. 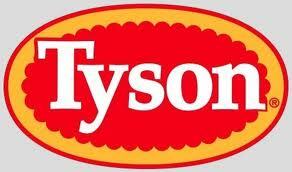 Website: Click HERE to be redirected to the Tyson Foods website. Email: Click HERE to contact Tyson Foods via email. Facebook: Click HERE to be redirected to the Tyson Anytizers Facebook Page. Facebook: Click HERE to be redirected to the Tyson Grilled and Ready Facebook Page. 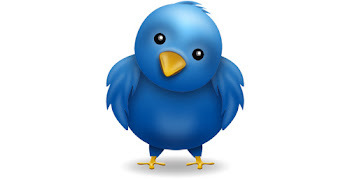 Facebook: Click HERE to be redirected to the Tyson Nuggets Facebook Page. Website: Click HERE to be redirected to the StarKist website. Email: Click HERE to contact StarKist via email. Facebook: Click HERE to be redirected to the StarKist Facebook Page. Website: Click HERE to be redirected to the Freschetta website. Email: Click HERE to contact Freschetta via email. Facebook: Click HERE to be redirected to the Freshetta Facebook Page. Website: Click HERE to be redirected to the Sargento website. Email: Click HERE to contact Sargento via email. Facebook: Click HERE to be redirected to the Sargento Facebook Page. Website: Click HERE to be redirected to the Kellogg's Produce website. 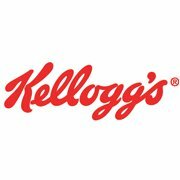 Email: Click HERE to contact Kellogg's via email. Facebook: Click HERE to be redirected to the Kellogg's Facebook Page. I spied a smokin' deal on Crave Cat Treats at Tops... there aren't any kitties in our house but if I get to Tops this week I might just snag this deal and donate the treats to a shelter! P.S. I'm in no way affiliated with Tops Friendly Markets & this blog post contains affiliate links!